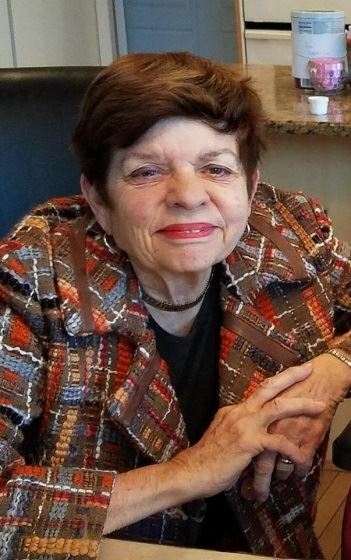 Alice M. Rivlin, Sr. Fellow - Econ. Studies, Center for Health Policy, The Brookings Institution: "Challenges for the Fed in 2018"
Alice M. Rivlin is an expert in monetary, fiscal and health policy, served as Director of the Office Management and Budget (OMB) in the first Clinton Administrat ion (1993-96) and Vice Chair of the Federal Reserve Board (1996-1999). She was the Founding Director of the Congressional Budget Office (1975-83) and served as chair of the District of Columbia Financial Management and Assistance Authority (1998-2001). She was director of the Economic Studies Program at Brookings (1983-87). She also served at the Department of Health, Education and Welfare as Assistant Secretary for Planning and Evaluation (1968-69). She is currently a visiting professor at the McCourt School of Public Policy at Georgetown, as well as a senior fellow at Brookings in in Economic Studies and the Center for Health Policy. Ms. Rivlin received the Paul A. Volcker Lifetime Achievement Award for Economic Policy from the National Association of Business Economics (2015) and the President’s Medal from Indiana University). In 2015 she also received the Leadership Award from the Economic Club of New York. She has received a MacArthur Foundation Prize Fellowship in 1983 and the Moynihan Prize in 2008. She was named one of the greatest public servants of the last 25 years by the Council for Excellence in Government in 2008. Note: Registration is open through Thursday, Feb. 1 at 11:30 am.